The biannual HKTDC Global Sources Electronics Show is an international trade fair for electronic products and services. Here exhibitors from around the world present the latest technological developments in the fast moving electronics industry. 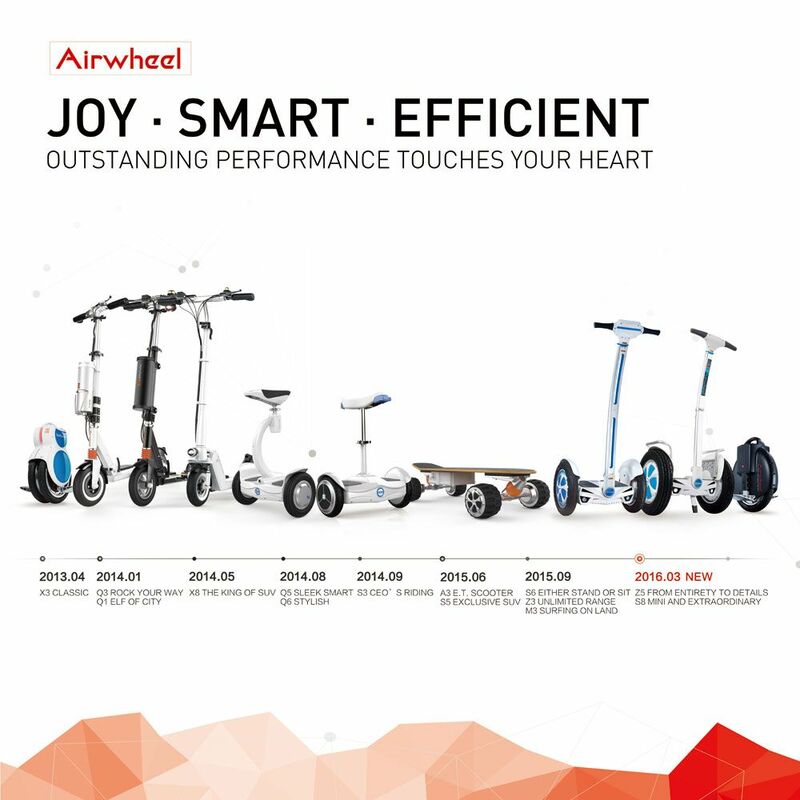 Airwheel Technology Holding (USA) Co., Ltd，expert of portable intelligent scooters will attend Global Sources Electronics Show Apr 2016 from 11st to 14th April 2016. Different from the previous new products release conferences, it was the first time for Airwheel to call a new product release announcement in overseas market-Germany on 14th March. Less than a month, Airwheel will bring them to show up on the HK Global Sources Electronics Show, one of the most influential electronics fairs in Asia and even the whole world. These new arrivals, Airwheel S9, C series, and Z5, S8, are believed to arrest the visitors’ attention and interest. The Hong Kong Global Sources Electronics Show is been extended by the technology transfer zone in which mainly innovations, ideas and prototypes for applications and productions are presented. It is said that the Airwheel S9 scalable robot base will become the focus of attention. Adopting a series of solutions to enhance the controlling performance and improve the sense of comfort, Airwheel S9 wheeled mobile robot shows the trend of future intelligent world and Airwheel’s R&D capability. Though it is not fresh for Airwheel to produce accessories, such as the former Airwheel backpack, training belt and cap etc. it is the first time for Airwheel to officially add a kind of accessory series. Growing in accordance with time, Airwheel C series—intelligent helmets are to protect the riders from injuries and to enrich their boring journey, action camera, HD tone quality and windproof microphone added. Amongst the roll-outs, Airwheel Z5 and S8 2-wheeled electric scooters stand out because of the detailed consideration in the aspects of performance, safety and externality etc. and find them at Hall 3 3C18.